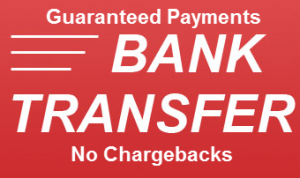 Bank transfers are an alternative payment that provides guaranteed funds to high risk merchants, without any risk of chargebacks. 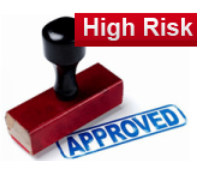 Merchants are classified as high risk merchants for card processing because of a greater than normal likelihood of chargebacks. Merchants in high risk categories find bank transfers are a powerful way to limit exposure to chargebacks while giving customers an easy, convenient, and popular way to make purchases online. Customers are increasingly comfortable using bank transfers as a payment option. This is due in large part to the dramatic increase in online bill pay and online banking services. Bank transfers are considered “push payments” because customers push payments to merchants through their online bank systems. Bank transfers are a popular means of payments throughout Europe, Brazil and other parts of the world. At checkout, customers click on the bank transfers button. The list of banks displayed. The customer clicks on the appropriate bank and is automatically redirected to the online banking site. The customer logs in, completes the transaction and is automatically redirected back to the merchant’s website. The merchant receives confirmation that the payment has been received and can fulfill the order. The customer receives a receipt for the purchase. Now, ecommerce merchants have a way to take advantage of the customer trend to pay with bank transfers online. Consumers and businesses today are concerned about the growing potential for fraud when making purchases online. A surprising number of consumers have had the misfortune of having security breached due to no fault of their own. Bank transfers eliminate the potential for fraudulent transactions for both consumers and merchants. Since payments are pushed to the merchant, the merchant never has access to any personal information on the consumer. And consumers are protected by their online banks security when making a payment online. All of this is done seamlessly through your website. The payment option is as simple to use as a card or echeck. Yet it is more secure. Fraudulent transactions are nonexistent, eliminating chargeback concerns. Funds are settled quickly. The best candidates to add bank transfers as a payment option are merchants with targeted international customers that are selling high ticket items. One of the hottest industries for bank transfers is for airlines and the travel industry. Bank transfers enable airline and travel merchants to accept payments from international customers that are similar to safe as a cash transaction. Online entertainment, software downloads, direct sales organizations, prepaid cards, and money remitters are also excellent candidates for bank transfers. Check 21 is a fast, safe method of processing check payments. With Check 21, transactions are cleared using bank-to-bank image exchange rather than through the ACH network. Check 21 is an attractive alternative for high risk internet merchants to process electronic checks and avoid restrictive ACH rules regarding chargebacks and returns. Electronic checks account for up to 30% of internet payment transactions. Yet, high risk merchants often have a difficult time complying with the NACHA regulations to keep revoked transactions (chargebacks) under 1%. Any merchant that expects higher than 1% revoke rates is wise to consider Check 21 instead of ACH processing. 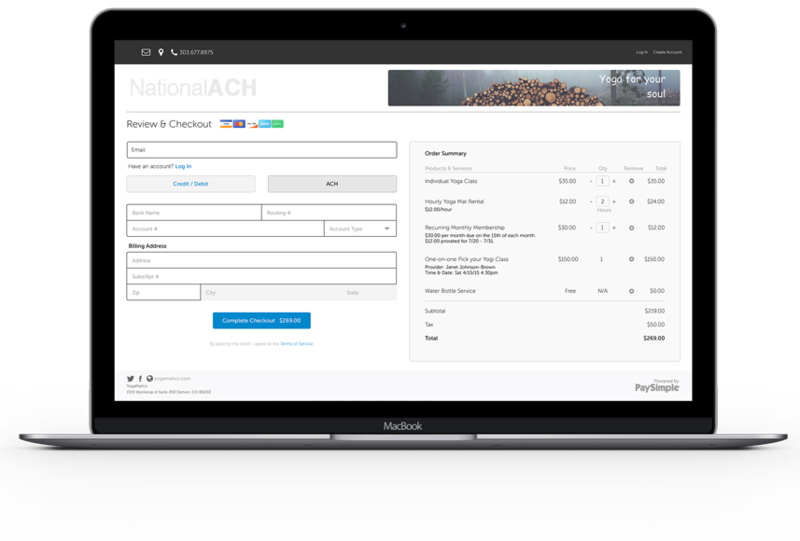 Merchants that prefer not to have to comply with NACHA regulations discover Check 21 electronic checks are an excellent alternative. Merchants in high risk categories find Check 21 particularly beneficial technology for processing electronic checks. Check 21 electronic checks accounts can be approved for industries that do not qualify for ACH processing accounts. For example, online pharmacies and debt consolidation firms, among others, use Check 21. Check 21 electronic checks processing permits a wide of transaction types to be sent electronically, expanding your target markets. Check 21 processing includes transactions from institutions that do not participate in the ACH network such as credit unions, savings & loans, small banks, brokerages, and checks drawn on credit card accounts. Check 21 increase merchant processing options beyond the limited ACH network. And Check 21 electronic checks offer added protections to merchants. Check 21 electronic checks are not subject to the same rules as ACH transactions. Check 21 transactions are governed by check laws, and the Uniform Commercial Code, not ACH regulations. This reduces merchant risk from contingent liabilities. For example, under NACHA rules, consumers have 60 days from the date they learn of a questionable transaction to dispute it. With Check 21 electronic checks, consumers have only 40 days to dispute a transaction. Check 21 transactions appear on the buyer’s bank statement in the same place as a paper check transactions. Merchants can display purchase details on the bank statement. This expanded descriptor makes is easier for buyers to remember what was purchased via Check 21 transactions and lowers the risk of chargebacks. With ACH, transactions are displayed only as a line item on the buyer’s bank statement, leading to confusion about the purchase and resulting in higher chargebacks. Businesses using Check 21 save money on payment processing fees. 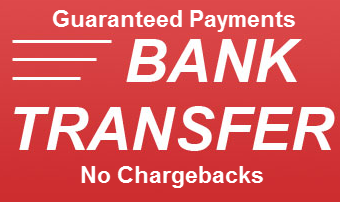 Rates for Check 21 processing are less than fees for credit cards. Check 21 electronic checks are s fast growing alternative payment option for internet and mail order / telephone order merchants. With Check 21 technology, businesses can take advantage of electronic checks payment processing to power business growth, increase sales, reduce operating costs, and maintain a competitive edge.